After you have set up your login details, you will be prompted to set up your first business. Your first step will be to specify the kind of business you are setting up. 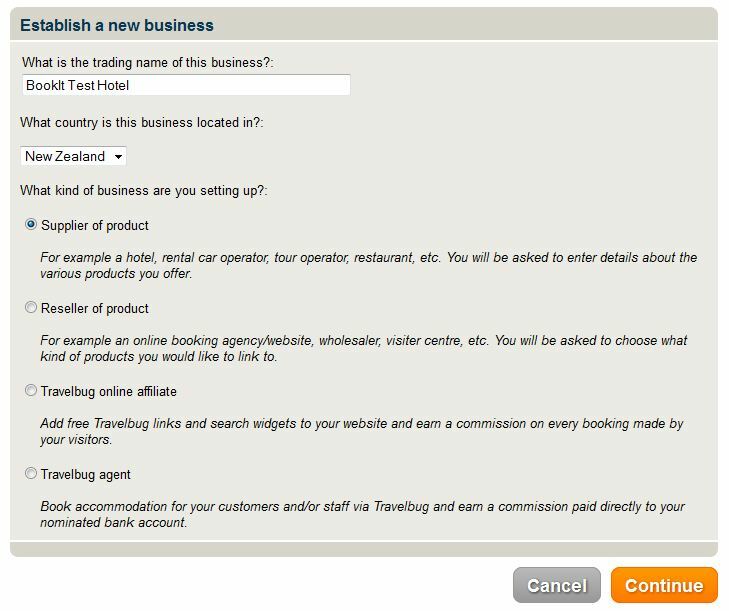 As an accommodation or activity supplier you will need to select the first option on the list: “Supplier of product”. Click “Continue” to proceed. Note: If you have multiple properties then you can set them up as different businesses under the same login but you can add these after you have set up the first business.